First snow + Nene Chicken ~ Journal of a dreamer. Remember my last blog post in which I mentioned that the weather turned really cold? Guess what? It really snowed that day. And guess what? I was sleeping away while it was snowing LOL. The first snow fell on Seoul in the wee hours of the morning on 14th November 2014. Unfortunately, by the time I woke up to go to school, the snow had already melted. -.-''' And ever since then, the weather has turned much warmer (it's still cold, but compared to the previous days, it is really much warmer) so I guess there is not much chance for snow for the rest of November LOL. 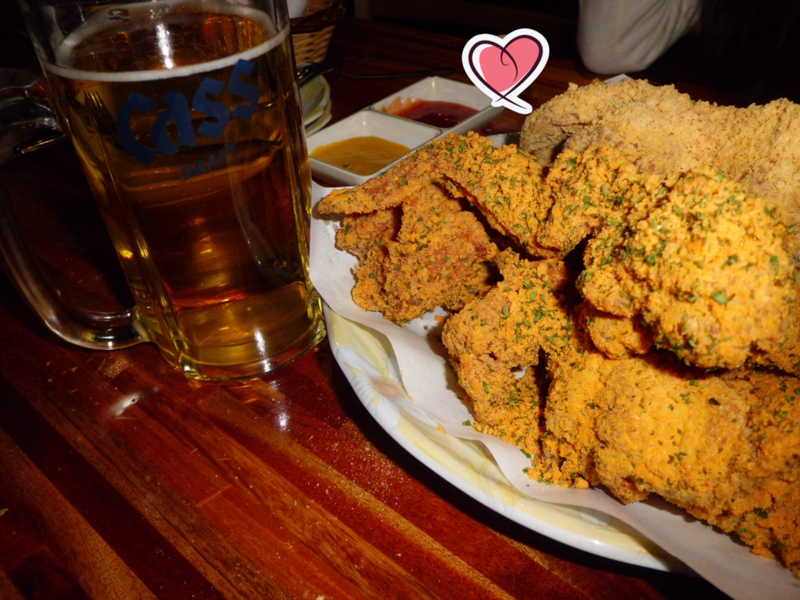 Anyway, since Nene Chicken was such a big deal when it first came to SG, A and I decided to have 치맥 (pronounced as "chimaek", short form for fried chicken and beer) for dinner yesterday. I haven't eaten Nene's in SG before, so I don't really know about the pricing back in SG, but A has apparently eaten chimaek in another chimaek shop and said that Nene's is much cheaper.